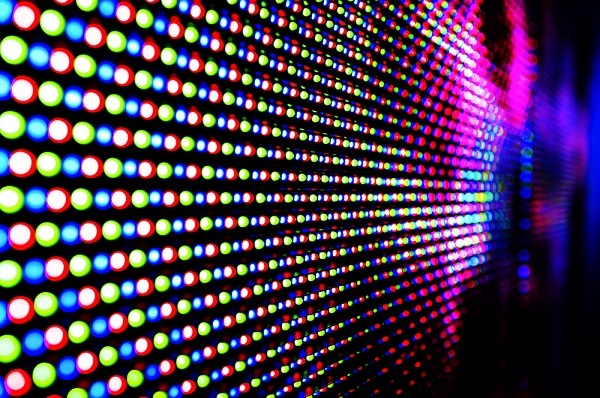 Mini LED is a new display technology in Asia. AU Optronics (AUO) on March 8 released the world's first Mini LED-based product line, including a gaming monitor, a gaming laptop, and a small-sized display for VR wearable devices. The company will begin to ship its Mini LED products in 2H18 and the large-scale gaming monitor will be the first to be on the market, said Michael Tsai, General Manager at AUO. Tsai added that the company in 2018 will focus on five major display technologies: 4K/8K TV panels, the next generation HDR technology, full screen smartphone displays, low temperature poly-silicon (LTPS) LCDs for automotive applications, and Mini LED. AUO will also develop software to integrate with the hardware and offer services and solutions to assist its customers with the production of applications such as public displays, industrial displays, and automotive displays. Mini LED will be used in the company's product lines targeting niche markets. It aims to refine the brightness, dynamic contrast, and grayscale of those products with Mini LED backlights. Applications expected to be launched in the second half of 2018 include high-end panels for gaming monitors and laptops, and VR head-mounted displays. Paul Peng, Chairman at AUO, pointed out that the development of Mini LED just began and the production cost is relatively high. The company has been cautious in selecting a market to introduce Mini LED. It has close relationships with its customers and has been collaborating with them in developing Mini LED applications for commercial, industrial, and medical uses, he confirmed. In terms of making backlights, the number of Mini LEDs used is more than that of standard LEDs in a module. The average cost of Mini LED backlights is thus higher, and so is the power consumption. It requires more advanced technology to resolve the disadvantages. AUO owns the largest share and sees the most growth in the market of gaming monitors and laptops. It will start the distribution of high-end Mini LED-based products in this market and anticipates the distribution to grow fast. Products AUO showcased on March 8 were a 27" gaming monitor, a 15.6" gaming laptop, and a 2" VR head-mounted display.